Meet Kassie Thomas, Diprose Miller’s Newest Associate. Kassie Thomas has been on a path of professional growth and development since first joining Diprose Miller nine years ago, and she’s just getting started. 2018 marks the biggest year yet for Kassie, achieving her Certificate of Public Practice and transitioning to Associate at Diprose Miller. Kassie says seeing clients succeed or helping them during the tough times is another highlight of the job. She believes the technology Diprose Miller has integrated into the firm is a massive part of this, with tools such as Xero, DairyBase, Figured, and Spotlight Reporting. 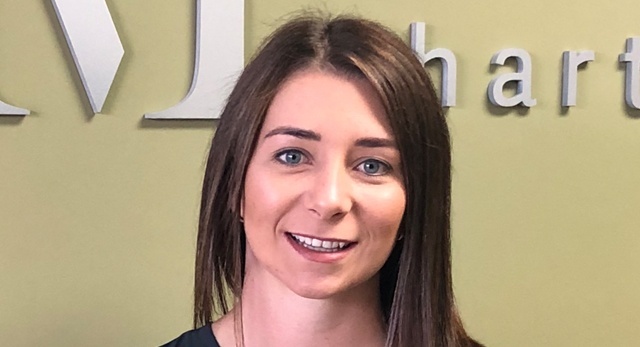 After completing her high school years at Morrinsville College in 2008, Kassie started a part-time degree at Wintec, studying a Bachelor of Business majoring in accounting. Around the same time, she joined Diprose Miller as a junior client account manager. For the next five years Kassie balanced study and work and says the real-world experience she gained working at Diprose Miller helped her immensely as a student. Growing up in Morrinsville, Kassie enjoys the community connections that come with working at Diprose Miller. “We’re very community focused, and you get to know a lot of people in the community. The local businesses in Morrinsville really support each other, and we get together regularly for networking events,” says Kassie. The team at Diprose Miller are certainly pleased Kassie has chosen to bring her skills and expertise to the firm and look forward to seeing what’s next. Congratulations from all your colleagues and friends, Kassie.